The GDR-REST (Research group on Theoretical Spectroscopy) is organizing its first general meeting from the 23rd to the 27th of May 2016, here the website for all details. The GDR-REST meeting aims to bring together different communities of theoretical spectroscopy which are/were historically separated, but unified under a very precise and important subject: the excited-states spectroscopy of variety of systems (for both weakly and strongly correlated systems, for valence and core electrons, etc.). One of the objectives is also to extend the collaboration to the nuclear physics community which might use very similar approaches based on Green’s functions. 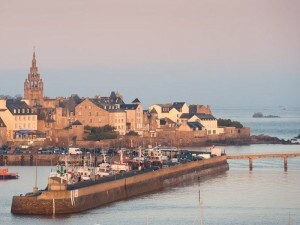 Retracing the GDR-REST footsteps, the Roscoff meeting will be of an interdisciplinary nature, in order to establish the state-of-the-art approaches, share knowledge, identify important issues and unresolved problems, and indicate future directions for the different communities. For this reason four main lectures have been scheduled aiming to introduce the participants to the core electrons spectroscopy, to create a connection with nuclear physics and chemistry communities and to activate discussion on new mathematical developments and algorithms.